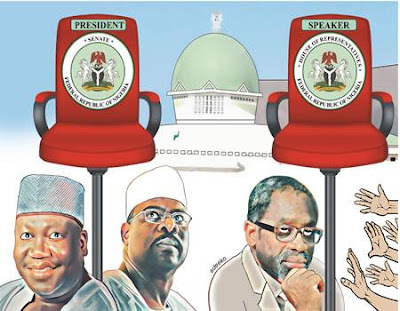 Leaders of the ruling All Progressives Congress have started reaching out to senators and leaders of the Peoples Democratic Party in a bid to stop the PDP members in the Senate from either contesting or supporting other senators to occupy leadership positions in the 9th National Assembly. However, sources within the APC told The Punch that the APC leaders who had earlier called the PDP senators’ bluff, over the leadership of the Senate changed their tactics when they discovered that the division among their party members in the Senate was real. An APC senator-elect told The Punch on condition of anonymity in Abuja that the party leaders had tried to convince Goje and Ndume to drop their ambitions without success. It was learnt that both Goje, who was a two-term governor of Gombe State, and Ndume had been working behind the scenes to outsmart Lawan by secretly forming alliances with the PDP. A source close to Goje confided that the senator was playing his cards close to his chest. The APC senator-elect, said, “Goje is a very experienced and tactical politician. He understands the politics of the chamber better and he knows that making noises on the pages of the newspapers would not help any of the aspirants. He, however, ruled out the possibility of the Gombe senator picking a PDP senator as his deputy. 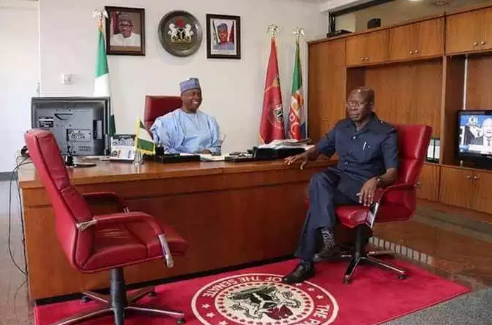 Efforts made by The Punch to speak with Goje to confirm or deny his interest in the Senate presidency and his alleged pact with the PDP failed as of the time of filing this report. He did not answer calls to his mobile line or respond to the text message sent to him. The Punch learnt that some of the APC senators-elect who were loyal to Lawan held separate meetings with the National Leader of the party, Asiwaju Bola Tinubu, and Oshiomhole on the tension in the upper chamber. Indications are that some PDP leaders and senators, especially those from the North, favoured Goje. A PDP ranking senator told The Punch that his colleagues were studying the offers. He said no definite decision had been taken on who the opposition members would support.